People listen to the music on a daily basis, and Internet offers limitless access to one’s favorite songs. Play Now Radio is an application that provides with free music streaming whenever you are online. However, due to the fact that this program is free of charge, Play Now Radio supports commercial advertisements. Hence, by using this application you might get exposed to corrupted websites and other commercial content that one would love to avoid at all costs. Remove Play Now Radio right now if you want to protect your computer and your personal data from potential cybercriminal exploitation. If you are an avid online radio listener, it might be that you stumble upon this website while searching for similar pages on the Internet. However, our security research shows that Play Now Radio can also be bundled with freeware on third-party file hosting websites. If that is the case, you need to be careful about keeping unwanted applications from your PC. No good can also come of collecting information on your web browsing habits. It means that Play Now Radio collects data about your search history and visited websites so it could send the collected information to its partners and generate commercial ads. This kind of behavior is more annoying than dangerous, but it may still expose you to potentially dangerous websites and even malware infection. Hence, the sooner you uninstall Play Now Radio, the better. Please invest in a licensed antispyware tool to protect your system from similar intruders and run a full system scan after manual removal to be sure that you have taken care of all the potential threats. Select Uninstall a program and remove Play Now Radio. Open Uninstall a program and remove Play Now Radio. 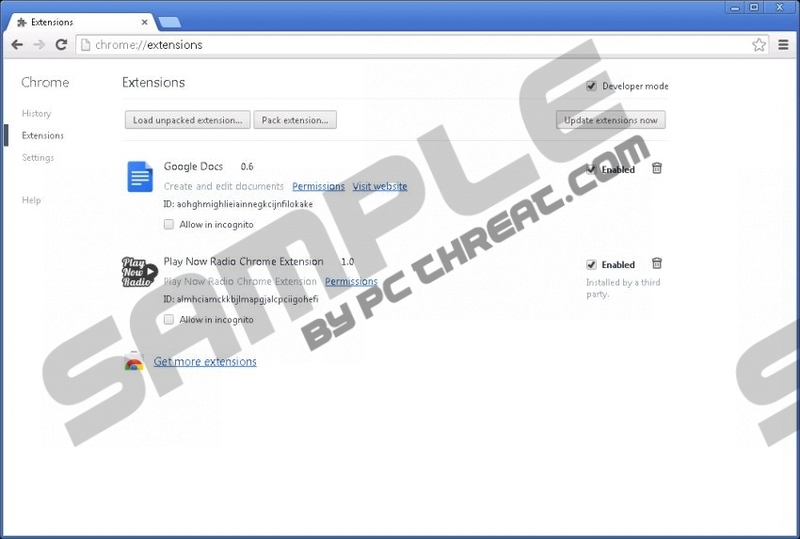 Select Add or remove programs and uninstall Play Now Radio. Quick & tested solution for Play Now Radio removal.